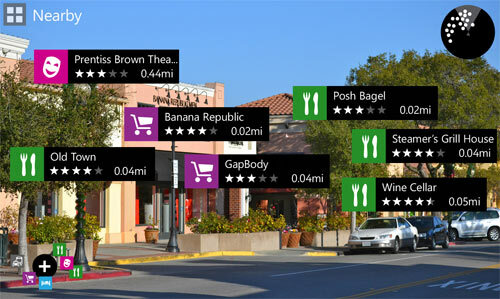 Nokia Beta Labs has just released City Lens, an augmented reality app for users to find local points of interest. It combines augmented reality interface and maps to give users a better overview of the best nearby places to eat, tourist hotspots and many other categories of locations. 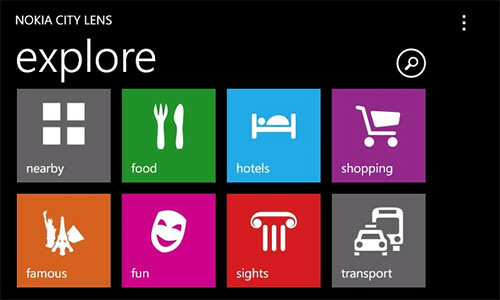 Upon launching Nokia City Lens, you can select from a number of categories; shopping, hotels, food, etc. Holding the phone up horizontally activates the augmented reality screen, floating labels to be overlayed on the camera viewfinder indicating the directions of the spots. 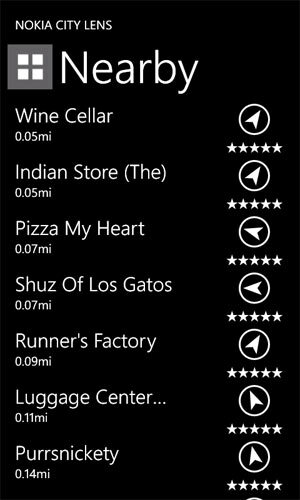 If you are not a fan of augmented stuff, turn the phone vertically and you get all the locations with their distance and star ratings in a list form. It also has another mode. Lying the phone down flat will bring up the map, showing you your current location and all the places of interests on the map. Since the app is still in beta, you can only download it from the link in Nokia Beta Labs website.